Cruz: Gorsuch nomination has "superlegitimacy"
In opening remarks before the Senate Judiciary Committee, U.S. Sen. Ted Cruz suggested Neil Gorsuch was "no ordinary nominee" and that his nomination to the U.S. Supreme Court must be viewed in light of the 2016 presidential election. U.S. Sen. Ted Cruz, R-Texas, kicked off the U.S. Supreme Court confirmation hearing of Judge Neil Gorsuch on Monday by saying the nomination carried a "superlegitimacy" — the result of the vacant seat's outsize role in the 2016 presidential election. In the presidential election between Republican Donald Trump and Democrat Hillary Clinton, Cruz said, "the people chose originalism, textualism and the rule of law." The committee is holding a four-day confirmation hearing for Gorsuch, a federal appeals court judge from Colorado. Democrats are likely to use the proceeding to press Gorsuch on his past decisions on the 10th U.S. Circuit Court of Appeals and on his views on Trump's attacks on the judiciary and other incendiary statements. On Monday, Cruz sought to get ahead of Democratic efforts to make Trump a liability for Gorsuch. Cruz asked if, for example, Ruth Bader Ginsburg and Stephen Breyer, who were appointed to the high court by former Democratic President Bill Clinton, were expected to address sexual harassment allegations against Clinton at their confirmation hearings. "Those questions were not asked because they were inappropriate political questions that have nothing to do with the record of the nominee before this committee," Cruz said. "Justice Ginsberg, Justice Breyer ... were not asked those questions, and Judge Gorsuch should not be either." Both Cruz and Texas' other GOP senator, John Cornyn, noted in their opening remarks that the Senate unanimously confirmed Gorsuch to the 10th Circuit in 2006. Cruz challenged Democrats to say what has changed since then, calling their opposition to his Supreme Court nomination politically motivated. "Many probably believe that they have no choice but to try to manufacture attacks against Judge Gorsuch, whether they want to or not, just to preserve their own political future and protect themselves from primaries back home," Cruz said. Gorsuch's nomination is of particular importance to Cruz, who fought Trump to the bitter end in the presidential race and for months declined to endorse the GOP nominee. Cruz finally threw his support behind Trump after getting the nominee to pledge he would only pick his Supreme Court nominee from a list of 21 judges that included Gorsuch. Democrats have argued Gorsuch's nomination is illegitimate because the Senate GOP refused to hold a hearing last year for Merrick Garland, whom former President Barack Obama had picked to replace Scalia. 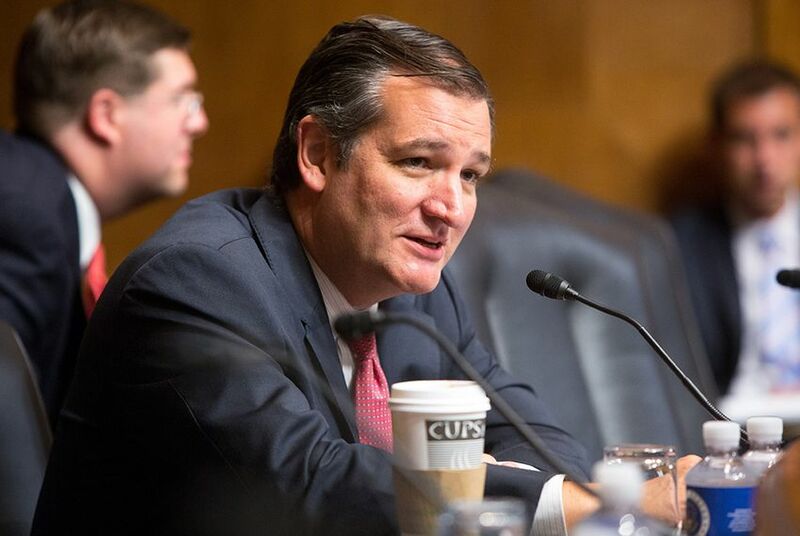 Cruz defended the Garland blockade Monday, saying it was in keeping with the Senate's history of not filling a Supreme Court vacancy in a presidential election year. In October, Cruz suggested that the Senate might choose to leave Scalia's seat open indefinitely if Clinton won the presidential election. U.S. Sen. Ted Cruz belongs to an elite club of lawyers who have repeatedly argued before the U.S. Supreme Court. Here's a look at how those cases went. After suspending his presidential campaign last year, U.S. Sen. Ted Cruz denied rumors that he was hoping to be appointed to the U.S. Supreme Court.